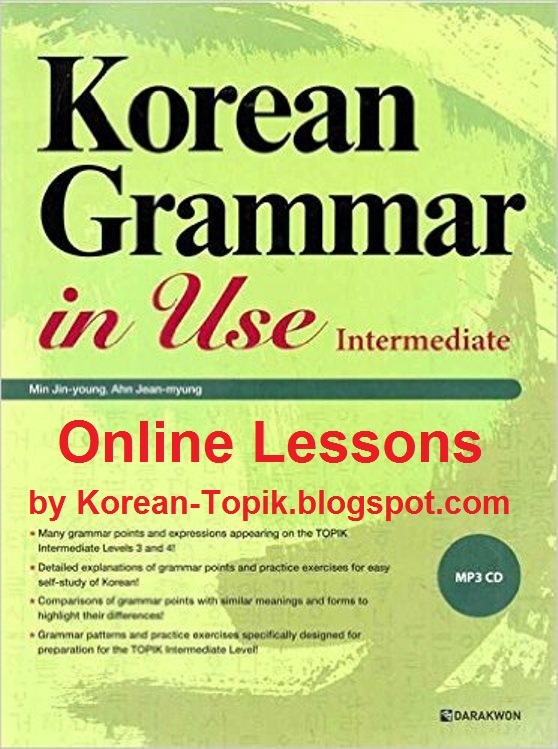 Korean Grammar in Use: Intermediate is one of the most popular Korean study book for language learners. 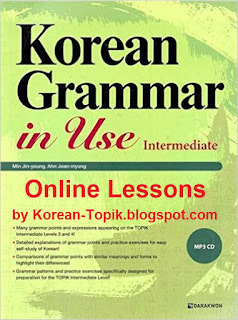 These Korean Grammar in Use: Intermediate online lessons are based on the grammar lists of the printed book (ebook version is available). However, you can easily recognize the huge modifications when comparing the printed lessons with our online lessons. Our purpose is to make the grammars even easier to understand, and more illustrative. For practicing, please use the printed book. Here, Korean TOPIK summarizes all the Korean Grammar in Use: Intermediate Online Lessons with 90 Units so that you can keep tracks of your study easily. Click on the title of each unit to start studying. L2G04 A/V/N-(으)ㄹ 테니까 grammar = because…., so it would… ~give reason for suggestion. L2G05 A/V/N-(으)ㄹ걸요 grammar = it is probably, I think, I bet....~give assumption based on backup knowledge. L2G13 V-느라고 grammar = because…, I couldn't... ~give reason for a negative consequence. L2G74 A/V/N-았/었던 grammar = used to....~recall a past event that has not continued to present. 깨진 링크가 수정되었어요. 보고해 주셔서 감사해요.